Tom Sullivan, whose son Alex was killed in the Aurora, Colorado, movie theater shooting in July 2012, told the jury about how Alex was shot while celebrating his 27th birthday and his first wedding anniversary. He said he and his wife still go to the Century 16 movie theater and they "go up and sit in Alex's row," row 12, and they leave seat 12 open for him. "We sit next to him," Sullivan said, according to CBS News. 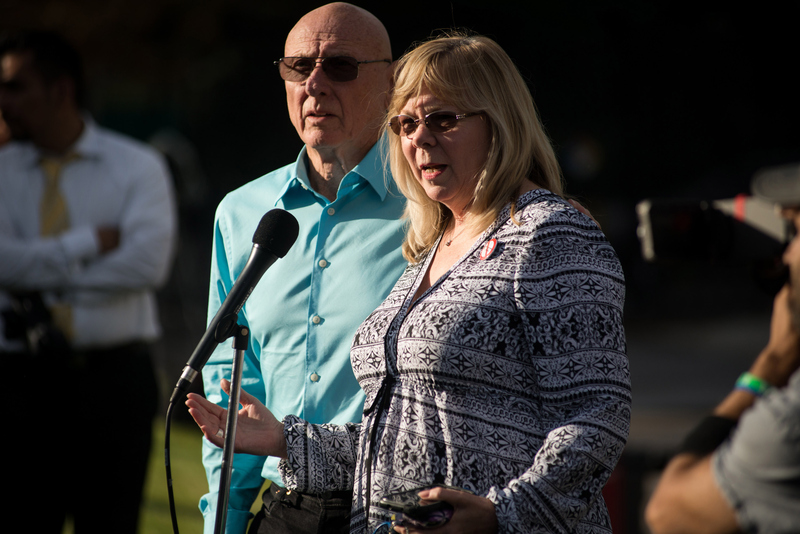 On Tuesday and Wednesday, the families of James Holmes' 12 victims shared heartbreaking testimony to help persuade the jury to sentence Holmes to death by lethal injection. Amanda Medek, whose little sister Micayla was killed, said she still can't enter a movie theater. Mary Theresa Hoover shot a glare at Holmes before she took the stand, and then described how the death of her 18-year-old son A.J. Boik has left her "a single mother of one," who has "lost half of what I was put on this Earth to do," according to CBS News. Boik was supposed to begin courses in ceramics at a local arts college the day after the shooting. Tuesday's testimony left jurors struggling to fight back tears, and Wednesday's will be no less relentless or emotional. Colorado death sentences are required by law to be unanimous, so prosecutors are hoping to show how far-reaching the shooting's impact has been on the families of the victims, even three years later, according to the Associated Press. I have PTSD, my brain is mush, I can't retain things like I used to, I cry every day still, probably always will. Police officers had testified earlier that the theater was ringing with abandoned cellphones for hours after the shooting, and jurors heard the desperation behind those calls as some family members described what it was like to repeatedly call their missing loved ones the night of the shooting in the hopes that they would answer and be OK. Your decision must reflect your individual reasoned moral judgment. ... No juror may make a decision for the death penalty unless the juror is convinced without a reasonable doubt that death is the appropriate sentence. Defense attorneys declined to question any survivors and Tamara Brady, one of Holmes' attorneys, said Tuesday that the defense probably would not call any witnesses of their own, according to CBS. Defense attorney Rebekka Higgs asked jurors not to "answer death with death," according to the AP. She insisted that Holmes committed the crimes in the grip of schizophrenia and that life without parole is the morally appropriate sentence (though jurors rejected Holmes' insanity plea when they found him guilty). The last round of closing arguments will take place Thursday, and deliberations will take place Friday, according to the AP.